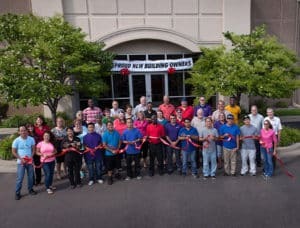 Diversified Plastics, Inc. Celebrates Its 40th Anniversary Diversified Plastics, Inc.
MINNEAPOLIS—Diversified Plastics, Inc., a custom injection molding company of high-precision components, is celebrating its 40th anniversary. The parts manufactured by Diversified Plastics can be found in dental x-ray machines, lithium-ion batteries, Juno spacecraft instruments, medical devices, tournament-quality foosball tables and other products and equipment. Founded in 1977, by James R. Dow and William J. Cullen, Diversified Plastics began with 13 employees and three machines, operating from a 2,500-square foot facility. The Diversified Plastics of today has a world-wide presence, state-of-the-art equipment, and a 52,000-square foot facility with over 75 employees. Seven of the original 13 employees continue to serve integral roles within the company. In November 2011, the employees took ownership of the company through an employee stock ownership plan (ESOP). In 2015, Diversified Plastics received the Company of the Year award from the Minnesota/Dakotas Chapter of the ESOP Association. In addition to employee dedication, with the average tenure being 12.5 years, many loyal customers have been working with Diversified Plastics since the beginning. Known for providing exceptionally high quality and meeting high-tolerance guidelines of +/- .001 of an inch, Diversified Plastics tackles tough projects. The company has kept up with changes in technology by regularly replacing machines with newer, more energy-efficient equipment and robotics that offer greater productivity and better control of the molding process. Diversified Plastics has been recognized as one of the first plastics injection molding companies in the country to produce 3D-printed plastic injection molds. 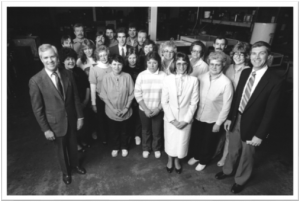 In 1984, the company moved to a new 10,000-square foot building, which was later expanded. During the 1980s, Diversified Plastics added Design Tool & Engineering, a wholly owned subsidiary, to meet industry demand for higher-quality precision plastic injection molds at a competitive price. In 2000, Diversified Plastics relocated to its current 52,000-square foot building. In recent years, Diversified Plastics added an environmentally controlled assembly area and a 600- square foot cleanroom. To continue to learn and improve, many managers and employees are active in industry associations, including American Society of Quality (ASQ), Society of Manufacturing Engineers (SME), Manufacturers Alliance and International Standards Organization (ISO). In addition, the company’s employees give back to the community through United Way, Memorial Blood Bank, food drives and other organizations and programs.